Below you can find testimonials from some of our clients. "Art's team has worked on several rooms within our house and every time, the work has been completed to a very high standard. They have been very professional, trustworthy and extremely reliable in all the jobs they've done and I cannot recommend their team enough." Art and his team always seem to succeed where other plumbers fail! And add on the best value i have come across, this is as far as you need to look for your plumbing needs. Keep up the good work! "Art provided our flat with a new boiler and worked on the radiators to make sure the system was safe and leak-free. We are very satisfied with the work Art did, and are enjoying our new efficient boiler and heating system!" Art Heating & Plumbing is a very competent, reliable and trustworthy team of engineers. I can highly recommend Art and their team." "I used Art and its team to install my new boiler and central heating system. They completed the work very quickly and at a high quality. Importantly there were also able to advise on how to design the system with the future development of the property in mind and therefore saved me money. Highly recommended and would willingly work with Art again." "Being residential architect company, we needed quality plumbing and heating contractor for several projects across South West London. Art's team totally delivers each time we use them"
"To replace our boiler, I took a few quotes from different plumbers and when Art visited, it was obvious they were the most genuine and honest. They did an excellent and clean job at very good price. They were always available after the installation to answer any questions and we have subsequently used Art for a number of other jobs at our house. This included some plumbing for our new kitchen, for which he conveniently re-arranged his schedule to accommodate us after our plans changed at short notice. As well as being an efficient and skilled plumber, Art is a reliable crew and I would strongly recommend their services." "can highly recommend Art's team. Hard working and fair rates"
“Great value and a great service, reliable and easy to get hold of, highly recommended". 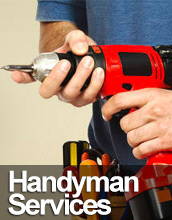 "These people are one of the most professional and reliable tradesmen I have ever dealt with. Their work is always good and I know his price is reasonable, I never bother to get competing quotes! I have never hesitated to highly recommend Art Heating & Plumbing to all of my friends and neighbours (and yes they use them)!" "The guy who came to do the work was fantastic - he turned up on time, finished quickly and generally could not has been better or nicer - so thank you." "Art Heating Plumbing worker was a pleasure to deal with. He came on time and was polite, respectful of my property and friendly, but he also got on with the job." "They did an outstanding job with our boiler, 2 years passed and we haven't had any issues with it. Definetely will use again"
"From previous renovating experiences I expected it to be a nightmare and to have to monitor the work closely. Instead Art Heating Plumbing were all thorough, lateral-thinking, and friendly. They did their best to keep the place clean, sweeping every night and straightening up. I can see the real benefit in working with a structured company over working with a small independent contractor." "They were fantastically helpful and went beyond the call of duty to help to solve the problem. We have used Art Heating Plumbing before and would not hesitate to use you again or to recommend you to others!" "We would like to thank Art Heating Plumbing team for such an amazing effort in all our property development projects in Surbiton areas." "Definitely our favourite plumbing company in London. Very affordable rates and quality of their work is truly outstanding." "He hired Art to sort out our high end underfloor heating solution in semi-detached house in central London. Can't strees enough how good they were throughout the whole planning and installation process. Thank you!! If you're looking for heating experts, these are the guys to call to"
To find out how our plumbing expertise and forward-looking approach could benefit you, get in touch today.